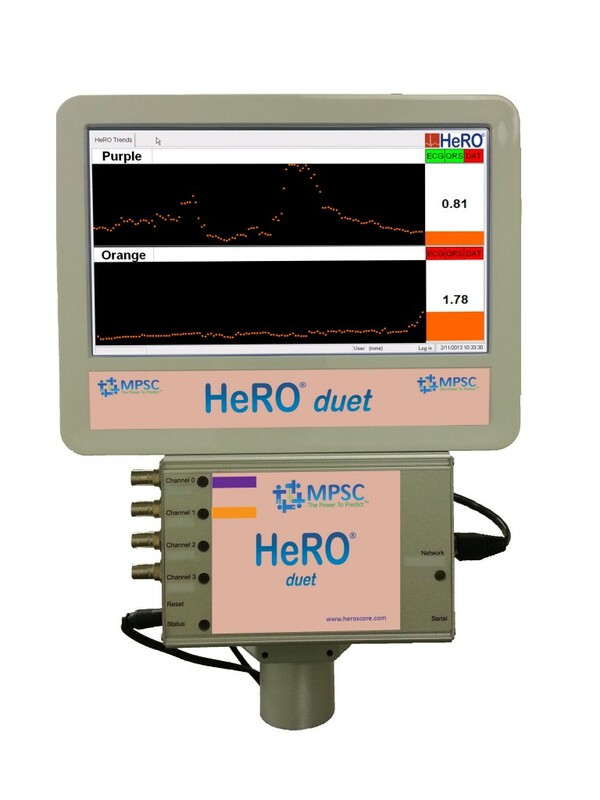 MPSC is proud to announce the newest member of the HeRO family – HeRO duet. HeRO duet responds to the requests from our customers for a bedside version of the HeRO System. Using a touchscreen monitor for the interface, HeRO duet is simple to use and install. It was designed to be self-installed at the hospital. Each HeRO duet monitor connects to up to 2 physiological monitors. It supports data collection from the majority of physiological monitors.